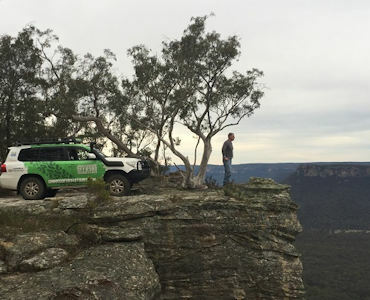 Operating daily, with pick up available direct from your accommodation, Simmo’s Offroad Tours offer fun & informative Eco-certified 4WD Tours showcasing the best of the Greater Blue Mountains – including the Gardens of Stone National Park, historic Newnes, Wolgan and Capertee Valleys. Explore rugged 4WD trails through our National Parks – visit stunning lookouts, idyllic picnic spots, remote trout fishing streams, sacred aboriginal sites or visit the majestic Jenolan Caves. Guests can fish for trout, pan for gold, forage for wild mushrooms or visit a local winery, local brewery or farm. If you own a 4WD, why not join Simmo on his next 4WD Tag-a-Long Tour showcasing fun 4WD trails across the Central West. Simmo also offers fully catered overnight Camping Adventures. Simmo’s luxurious Toyota Landcruiser comfortably takes up to 6 guests – with buses also available on request. Contact Simmo directly for a personally-tailored 4WD Tour showcasing the very best of the Blue Mountains. Wolgan Valley Eco Tours is the only ecotourism operator in the Wolgan Valley that is 100% locally owned. Specialising in small group sizes (max six people), our tour program has been designed for the experience seeker in us all who enjoy authentic guided adventures, engaging with locals and unique wilderness experiences. 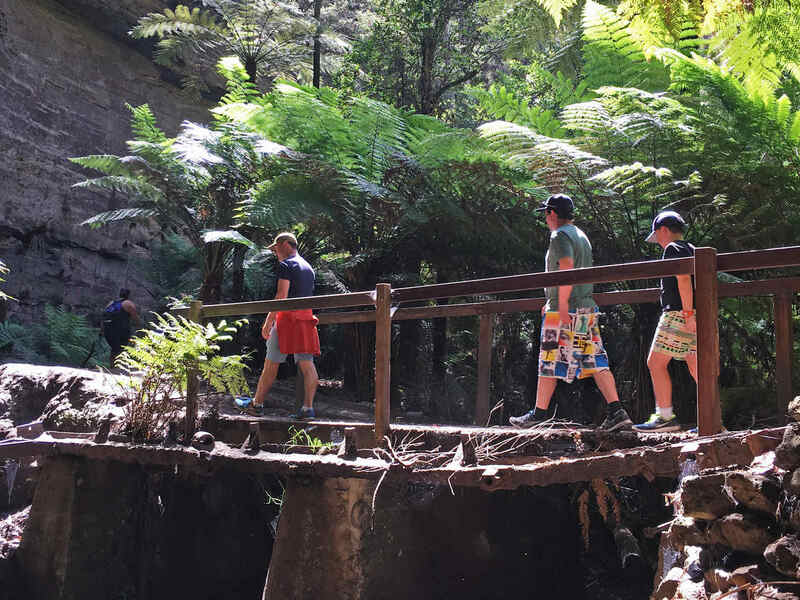 Whether you are a beginner looking for easy introductory walks or more experienced and after a full day challenging hike, there is something for everyone at Wolgan Valley Eco Tours. 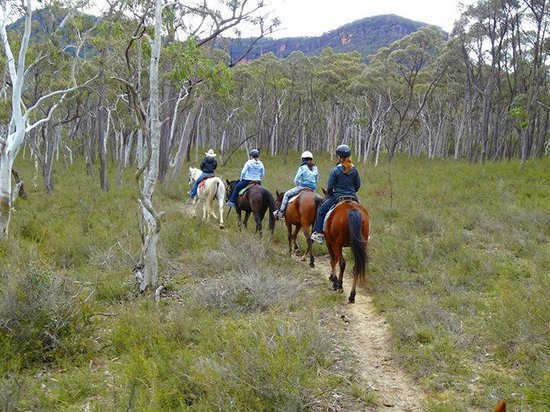 Enjoy Horse Riding, driving a sulky, pony rides for the children, mountain trail riding, even learn to ride while at the same time you can absorb the peace and quiet offered by this valley. Soak up the atmosphere, breathe the ‘fresh’ air, and see the wildlife and fantastic mountain views. The Glen Davis Shale Oil Works, located in the Capertee Valley, was one of the largest employers in the area. Producing gasoline, the operation was an important strategic resource during the war era. In its heyday about 2,500 people lived in the township. Vertical sandstone cliffs stand guard over the crumbling vegetation covered structures lending a surreal impression. Today, the ruins of this once thriving industry can be toured every Saturday. During daylights savings (Oct-March) they go from 5-7pm to avoid the heat and enjoy the sunset! The tour costs $15pp & $8 for Children under 12yrs. Cash only. It is a walking tour, so wear covered shoes, dress for the weather and bring some water. It is always good to prebook in case the tour has to be unexpectedly cancelled. events, group tours and excursions.